In 1988, the world was a different place. In 1988, the year of your birth, the top selling movie was Rain Man. People buying the popcorn in the cinema lobby had glazing eyes when looking at the poster. Remember, that was before there were DVDs. People were indeed watching movies in the cinema, and not downloading them online. Imagine the packed seats, the laughter, the excitement, the novelty. Do you know who won the Oscars that year? 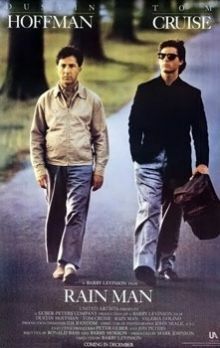 The academy award for the best movie went to Rain Man. The Oscar for best foreign movie that year went to Pelle the Conqueror. The top actor was Dustin Hoffman for his role as Raymond Babbitt in Rain Man. The top actress was Jodie Foster for her role as Sarah Tobias in The Accused. The best director? Barry Levinson for Rain Man.